5.1: Science and Music Festival . 5.1.1: 22 November 2018 . 5.1.2: 17 January 2019 . Standort: 5.1.3: 28th February 2019 . 5.1.4: 4th April 2019 . 5.2: Science & Music Festival Archive . 5.3: Rennmaschinen - Beschleunigershow . 5.7: Seminar Series Archive . Since February 2017 Judith Simon holds the chair for Ethics in Information Technologies at the University of Hamburg. Before joining the University of Hamburg, Judith Simon was associate professor for philosophy of science and technology at the IT University Copenhagen as well as principal investigator of the project “Epistemic Trust in Socio-Technical Epistemic Systems” at the University of Vienna. For further details please see her web page. FREE ENTRY to all concerts. 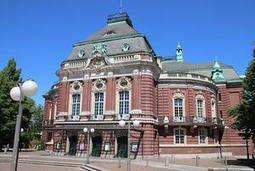 However; tickets are needed to get into the Laeiszhalle, Kleiner Saal. or pick up your ticket in the Foyer of the Laeiszhalle, Kleiner Saal 30 minutes prior to the talk or the concert as long as available.